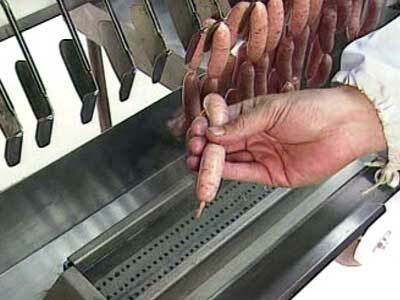 Production of up to 800 links of constant size and weight natural casing sausage per minute. 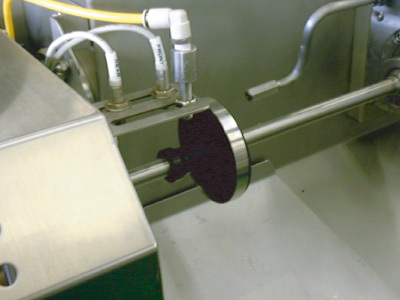 In the conventional production of natural casing sausage, it was considered impossible to make natural casing sausage with constant weight and length. However, when Hitec introduced "LINKWEL" in 1998, this belief was no longer true for natural casing. Now in 2001, Hitec is proud to introduce the "MACHWEL". 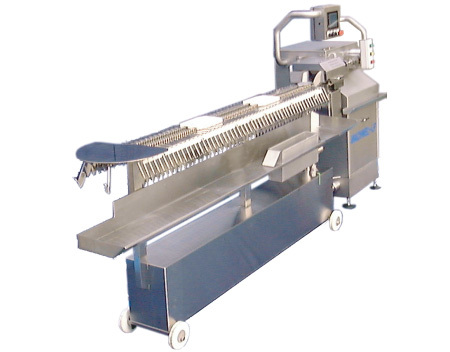 The world's first fresh sausage stuffing and link separating machine sure to revolutionize the fresh natural casing sausage industry. The "MACHWEL" reduces casing breakage using a patented stuffing design that is unique to the conventional styles used. A revolutionary breakthrough over the conventional looper horn which moves to hang product over hooks. 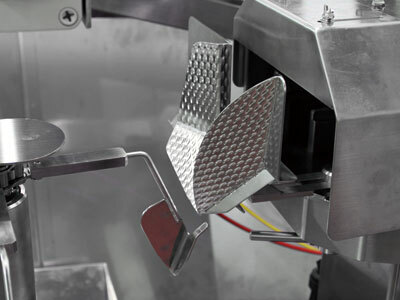 Our system allows precise hanging by simply allowing the product to "slide" to the conveyor hooks without the need for more wear parts as on a looper system. Available in various lengths from 3 pitches (1.125 inches) and longer. "MACHWEL" is available to run half pitch sizes. With installing an optional water device, the process of tying the casings in the front and the tail has been eliminated. 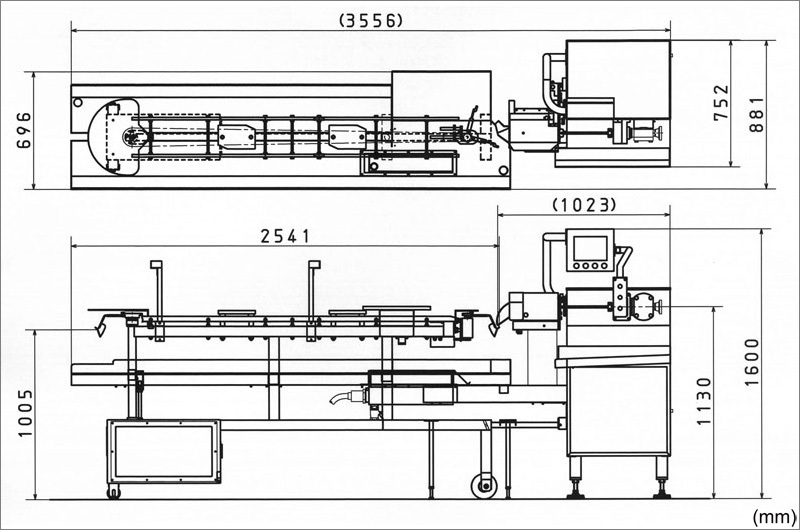 This device helps to increase both productivity and casing utilization. ※ Specification and equipment are subject to change without any obligation on part of the manufacturer. 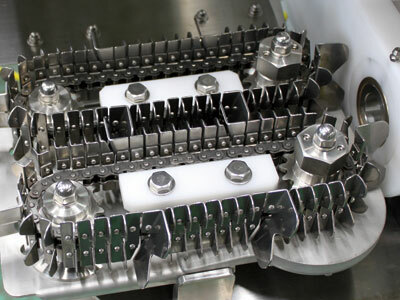 ※ The above production rate is subject due to the conditions such as production item, factry and other conditions.